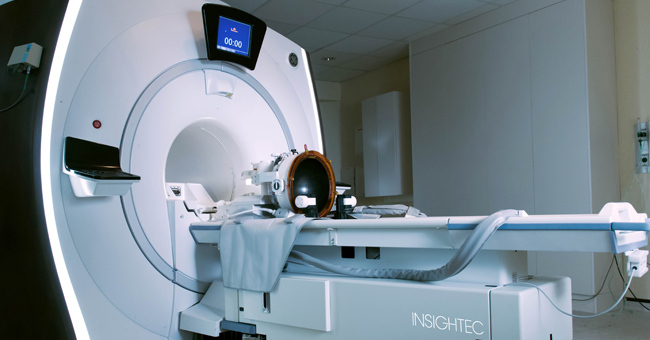 Attikouris Medical, a leading healthcare and wellness equipment provide in Cyprus, is pleased to announce that Insightec has received positive guidance for unilateral MRI-guided focused ultrasound thalamotomy for treatment-resistant essential tremor (ET) by the The UK National Institute for Health and Care Excellence (NICE). Essential Tremor (ET) is a condition that affects more than one million people in the UK and impacts their ability to perform everyday tasks due to uncontrollable shaking of their hands. Insightec is a global medical technology innovator of incisionless surgery, represented by Attikouris Medical in Cyprus. To date, 16 patients with ET have been treated at St. Mary’s by an expert, multidisciplinary team including Professor Wladyslaw Gedroyc, Consultant Radiologist, Dr. Peter Bain, Consultant Neurologist and Professor Dipankar Nandi, Consultant Neurosurgeon. The Trust Imperial College Healthcare NHS Trust is the first and only site in the UK with the Exablate Neuro™ technology to treat essential tremor. During the treatment, ultrasound waves pass safely through the skull to ablate a tiny spot in the brain considered to be responsible for the tremor. The result is often an immediate improvement of the tremor in the treated hand. Due to the incisionless nature of focused ultrasound, there is no risk of infection and patients recover quickly.